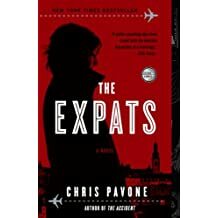 An e-book bargain: The Ex Pats by Chris Pavone – Joyce's mystery and fiction book reviews with some non-fiction too! In the cobblestoned streets of Luxembourg, Kate Moore’s days are filled with playdates and coffee mornings, her weekends spent in Paris and skiing in the Alps. But Kate is also guarding a tremendous, life-defining secret—one that’s become so unbearable that it begins to unravel her newly established expat life. She suspects that another American couple are not who they claim to be; her husband is acting suspiciously; and as she travels around Europe, she finds herself looking over her shoulder, increasingly terrified that her own past is catching up with her. As Kate begins to dig, to uncover the secrets of the people around her, she finds herself buried in layers of deceit so thick they threaten her family, her marriage, and her life. I read this one when it came out and found it to be a page turner. 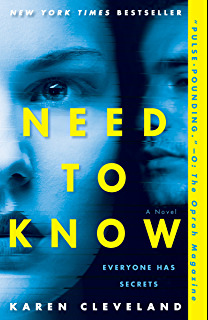 If you like it, also consider reading Need to Know.